Every day is festive at Kildare’s of West Chester! We have specials every night of the week, so we have you covered whether you’re planning a girls’ night out or a happy hour for your officemates. Our happy hour runs Monday through Friday, with $3 drafts and half-priced appetizers at the bar from 5–7 p.m., plus daily drink specials and entertainment late into the night. And that’s just the start! Mondays can be a shock to the system — that’s why we ease you into the work week with 22-ounce Yuenglings for only $3 starting when the doors open until midnight. If you don’t make it for happy hour, half-priced appetizers return from 9–11 p.m. — perfect to nibble on with your buddies while watching Monday Night Football, soccer or whatever else is on the big screen. Feeling competitive? Form your own team and compete in Quizzo with Big Mike starting at 9 p.m.
Our Tuesday specials and musical entertainment are just what you need for a night out! Pop in for happy hour and half-priced apps, plus $3 drafts from 5–7 p.m. Stay and enjoy $3 Kronenbourg Blanc pints from when we open until midnight, or $2 well drinks and $3 Captain Morgan drinks from 10 p.m.–midnight. Into car sing-alongs? Then order up more half-priced appetizers from 9–11 p.m., and test your musical knowledge by playing a few rounds of Bar Bingo, Music Trivia or Name That Tune by Bradley Hendrix. Check out upcoming themes on our Facebook events page. You’ve made it through Hump Day, so it’s time to celebrate with with your coworkers! You might originally come out for our half-price happy hour appetizers from 5–7 p.m., but you’ll stay for our $3 pints of Downeast Original Blend cider pints from opening until midnight. If you’re hanging later in the night, half-priced appetizers return from 9–11 p.m. We’re also pouring $2 Miller High Life and $3 Pinnacle drinks from 10 p.m.–midnight. 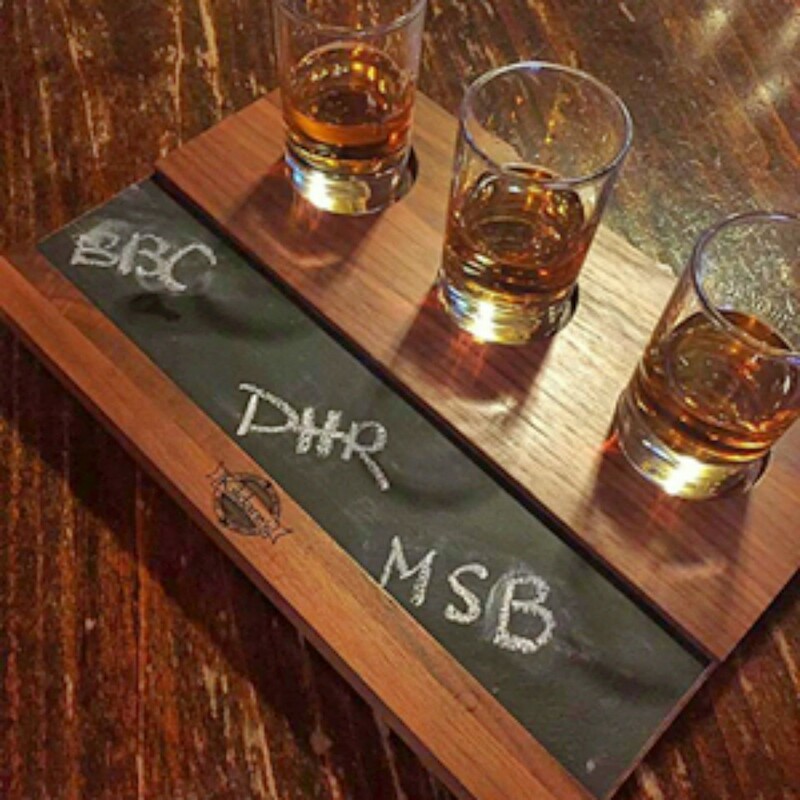 Whether you’re celebrating that workplace promotion or just another week’s survival in the jungle, this is the night to sip some whiskey — Wednesdays are 25 percent off all whiskey flights all day. Remember when you and your college buddies started the weekend on Thursday night? Call up the old crew and meet at Kildare’s for our half-price happy hour appetizers and $3 drafts from 5–7 p.m., with live acoustic music from 6–9 p.m. Relive that college past by sampling our $5 bomb drinks from when we open until midnight. Who cooks on Fridays anymore? Schedule your date night at Kildare’s and come out for $3 Victory pints from open to midnight, plus half-priced appetizers at the bar from 5–7 p.m. On some Fridays, enjoy acoustic tunes from 6–9 p.m., and other Fridays listen to a live band from 8 –11 p.m. Our dinner menu has something for everyone, so whether you’re craving a Kildare’s deluxe burger, pork tacos or blackened mahi mahi, you’ll leave satisfied on Friday night! Kildare’s of West Chester opens early for those who love English Premier League footballers so they can follow all the action. Check out our schedule to see if you should set the alarm to cheer your team on while enjoying $3 Stella Artois pints starting from when the doors open until midnight. Perhaps you’re carting around your own soccer star on Saturday and want to stop in for a bite to eat between those tournament games. Whatever your budding talent’s activity — basketball, hockey, dance, music lessons — Saturday afternoons at Kildare’s family-friendly pub are are meant for you and your loved ones. Brunch is the best! Our $5 Bloody Marys from open to midnight will smooth out your morning, or try one of our half-priced drinks from 10 a.m.–noon while catching up with old friends. Can’t bear to see the weekend slip away? Stop in on Sunday night to nosh on our half-priced appetizers from 9–11 p.m., and croon a tune onstage during karaoke, which runs from 10 p.m.–2 a.m.